Coming home from the jungle and the mangroves at the end of the year is a lot like coming back to the dock after a long voyage. We see our family and friends (and a hot shower is available everywhere…what luxury), and it is time to take stock of the trip and look ahead to the future. 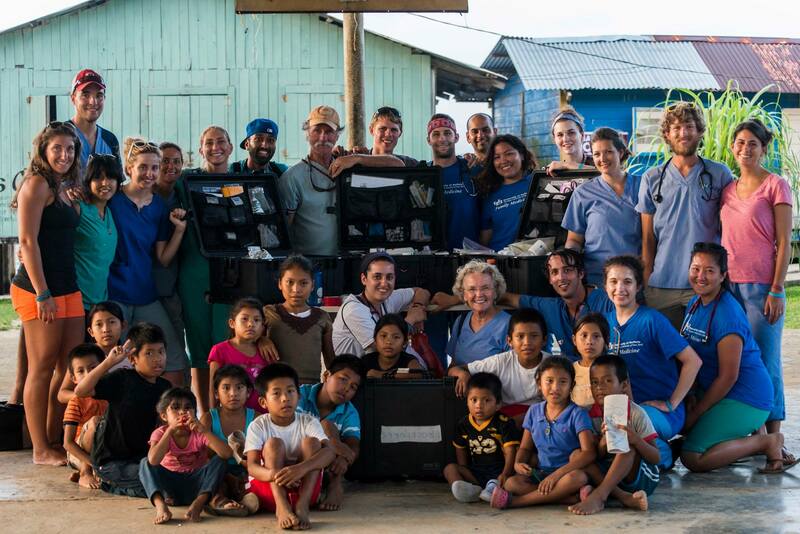 2014 saw the foundations laid for a huge expansion in 2015—remote outposts were built, new partnerships formed, construction begun on a base of operations, new equipment obtained, and resources developed to allow Floating Doctors to handle an expected 300% more volunteers next year. We saw some wonderful victories, such as obtaining specialized heart surgeries, rescuing difficult births or getting large tumors removed, but we also saw some terrible tragedies that remind us how lucky we are and how precarious and fragile life can be for so many people in the world. At this time of year, while we visit our families and enjoy the incredible bounty around us, I am grateful for my family’s health, and I remember all the families waiting back in the jungle who face the rainy season without running water, electricity, sanitation or access to basic health care. It is not the wins that drive us to build more, do more, and help more people—it is the losses. The reward we are blessed to receive in this work is the opportunity to help prevent these tragedies, and for this we need your help. For want of a battle, the kingdom was lost. Most of the time we don’t need a CT scanner or an advanced laboratory or a major trauma unit to save the kingdom—most of the time, we just need a basic antibiotic, or a bag of IV fluids, or 5 gallons of gas. We just need a nail. Something that costs less than $5 is often the key to saving a life. This year, sign up to help us with just a nail or two each month—with enough nails, we will build and staff more outposts, obtain more medicine and equipment, reach more communities, and help more families end the year by remembering their good fortune instead of their losses. From all of us at Floating Doctors—thank you for your support, and may this holiday season find you and your friends and loved ones in good health and ready for an exciting 2015.
we would like to partner with you in hosting a medical camp with us in lwengo district-Uganda.